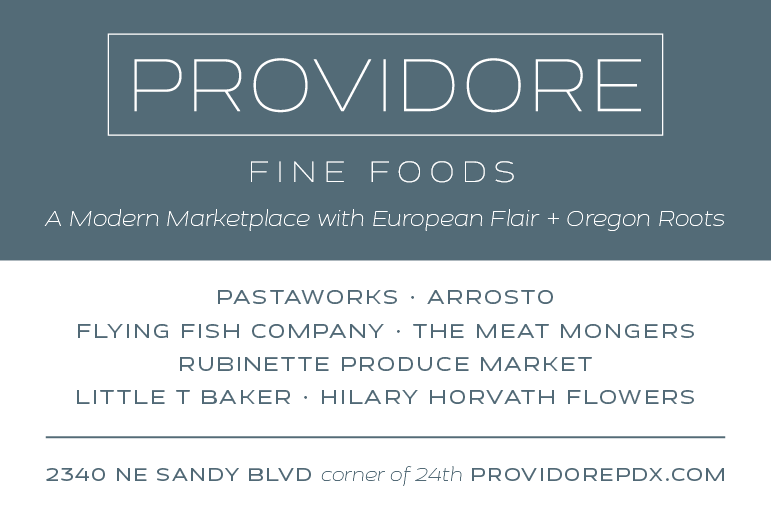 Oregon is a place full of growers, artisans and makers, especially when it comes to food. For those who aren’t lucky enough to live here, nothing can top a care package of Northwest-made goodies. To follow on this year's theme of giving self-liquidating gifts, i.e. those that don't need displaying or dusting, this list of some of my favorite producers is just a start—and don’t forget locally roasted coffees, cheeses, cookies and more. If you prefer to head out to the shops and hunt down your own gifts instead of shopping online, you can't do better than to make a beeline to a farmers' market near you and buy any of the myriads of delicious, homemade treats direct from the folks who made them. Ayers Creek Farm Organic Preserves The best preserves I've ever had, period. Get some for yourself while you're at it. Also available at Vino Wine Shop, Pastaworks, City Market, Food Front Co-op and People's Co-op. 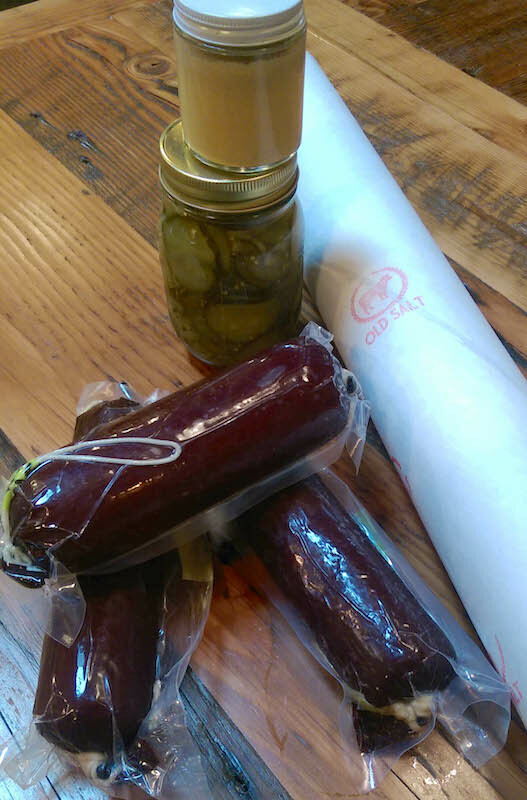 Meat Tubes from Old Salt Marketplace If you have someone on your list who loves meat products, or if you need a handy gift to take to a holiday party, call or e-mail these guys and order one of their gift "tubes" (above right) of responsibly sourced, handmade meats and accompaniments. I'm thinking of a couple of people I know who'd love one! 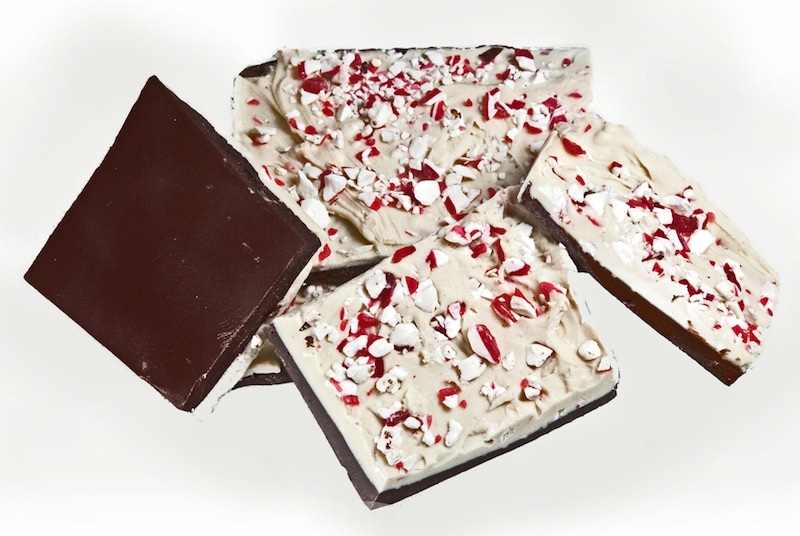 Willamette Valley Confectionery Old-fashioned peppermint bark and pate de fruit (made from fruit from local farms). Quin Candy Handmade, small-batch candies with a modern twist. Alma Chocolate Sarah Hart's chocolates, caramels and bon bons are unique, beautiful, delicious and handmade with care. 'Nuff said. Cardamom Hills Trading Co. chutneys Sourcing from local farmers' markets make Sophie Rahman's chutneys so vividly flavorful that any of the commercial brands you may have tried pale by comparison. Jacobsen Salt Co. Salt Harvested from Netarts Bay, I can't think of a cook on your list who wouldn't love some of this salt in their pantry. Bee Local Honey Local bees making hyperlocal honeys. Urban Cheesecraft DIY cheesemaking kits These little kits are perfect for any cheese lover on your list, and simple enough for the youngest! Read part two of this post about getting some exclusive, small-batch fresh-pressed olive oils from Italy! And read the other posts in this year's Great Gifting series: The Gift of Class(es) and A Gift that Keeps on Giving.